The "very innovative and entrepreneurial" Charlotte Rees-John at Freeths LLP provides "very commercial and pragmatic advice and explains things in simple, non-legal language so that people don’t feel intimidated." 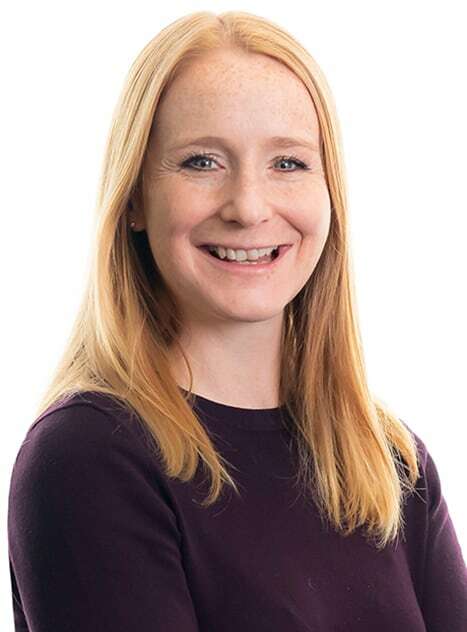 Charlotte has over 16 years’ post-qualification experience in all aspects of employment law, and has particular experience in dealing with large scale collective consultations, executive terminations, multi-party tribunal claims, and providing strategic advice at board level. Although Charlotte has experience of advising clients from a broad range of sectors, she has particularly extensive experience in the Care, Retail and Leisure and Hospitality sectors. Charlotte is listed as a Recommended lawyer in the Legal 500 (2019 Edition). Advised a multi-site organisation on all aspects of employee relations when setting up in the UK, including TUPE, redundancy, performance management, national living wage and diversity. Developed and put in place strategies and training for dealing with employees suffering from stress and anxiety. Reviewed restrictive covenants at board level, advising on enforcement and compliance. Advised and delivered practical training on implications of recent and upcoming legislation. Charlotte has a wealth of knowledge and experience in the drinks and hospitality sector. Over the past 16 years she has provided advice on all areas of employment law to clients such as McDonald’s, Whitbread, Spirit, Punch and Roadchef. She understands the need for a proactive relationship with her clients, working together to protect their best interests. Aligning pay bandings across an entire estate of a managed pub operator. A national restructure, supporting delivery and managing exits. Strategic advice on gender pay reporting, national living wage and zero hours contracts. Handling a multi-party TUPE tribunal claim. Training senior management teams on delivery of HR strategy. Charlotte has acted for a number of private care providers including national multi-site pharmacies, dentists and vets. She has also advised GP practices and doctors, spending 2 years advising BMA members. She has also given advice to a number of NHS organisations. Handled a number of complex tribunal claims involving whistle-blowing and discrimination. Ran an outsourced employee relations helpline for Practice and Area Managers. Reviewed self-employed and locum contracts, advising on employee status. Advised on national restructures including site closures and redundancies. Advised on national living wage and formulating strategies to address specific challenges faced by the Care sector. Charlotte has acted for a number of well-know high street names and is experienced in advising large national and international multi-site organisations. Advised on a significant merger and all aspects of the subsequent restructure, including advice relating to TUPE, redundancy and collective consultation. Advised on harmonisation of terms and conditions of employment. Advised on a complex group grievance, alleging institutional racism. Provided strategic advice regarding national living wage, gender pay gap and flexible working. “The ‘very innovative and entrepreneurial’ Charlotte Rees-John at Freeths LLP provides ‘very commercial and pragmatic advice and explains things in simple, non-legal language so that people don’t feel intimidated’”.